Even my Gskill Falcon 1 64Gb is doing great, no BSOD's, no unexpected problems, the only "bad" thing that I saw was in SSD Life Free, when it say's my SSD is at 80% of NAND wear n' tear, my Intel is at 100%. Where I work - we have had 265 Vertex II drives come back since June 2010. "a 64Gb 25nm NAND die will set you back somewhere from $10 - $20. If we assume the best case scenario that's $160 for the NAND alone"
We're using gigaBITs (little b), not gigaBYTEs (big B). I understand the GB vs Gb argument, but even if it takes 8 modules to make up 64Gb it was stated that a 64Gb die would set you back $10-$20, so saying a 128Gb drive would cost $160 didn't make any sense until 3 paragraphs later when it said the largest die you could get is 8GB. 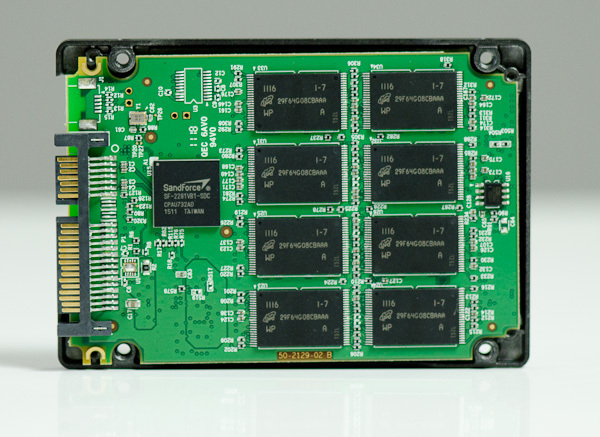 Once again, a fantastic article from you Anand on SSDs. I couldn't agree more on the state of consumer SSDs and their reliability (or lack of...). The problem as you mentioned is the small margins that manufacturers are getting (if they are actually manufacturing it...), which results in less QA than required and products that launch with too many bugs. The issue is, this won't go away, because many customers do want the price per GB to go down before they'll buy. Probably waiting for that psychological $1 per GB, that same 1$ per GB that HDDs reached many years ago. With prices per GiB (actual capacity in Windows) dropping below $1.50, reliability is one of the last barrier for SSDs to actually become mainstream. Most power users now have one or are considering one, but SSDs are still very rare in most desktops/laptops sold by HP, Dell and the like. Sometimes they will be offered as an option (with additional cost), but rarely as a standard drive (only a handful or two of exceptions come to mind for laptops). I can only hope that the reliability situation improves, because I do wish to see a major computing breakthrough, that is for SSDs to replace HDDs entirely one day. As you said years ago in an early SSD article, once you had a SSD, you can't go without one. My desktop used to have two Samsung F3 1TB in RAID 0. Switching to it from my laptop (which had an Intel 120GB X25-M G2) was almost painful. Being accustomed to the speed of the SSD, the HDDs felt awfully slow. And I'm talking about two top of the line (besides raptors) HDDs in RAID 0 here, not a five year old IDE HDD here.